Some of the parts you’re going to need to buy from other retailers but everything you need to make this tiny, filming tank is easily accessible from common online shopping platforms. The site includes specs for printing and building so you too can have a cool mobile cam. This is more tank like than rover so it works best on hard floors and surfaces. Not meant for outdoor play but you can use it on carpets and rugs. 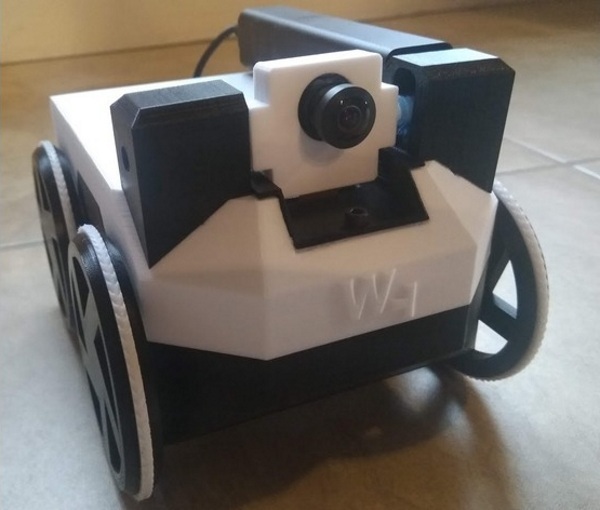 The device is Raspberry Pi enabled and once built it’s ready to roll around your house, filming things from ground level. It’s open source and ready for your tinkering hands. Check out the video to see it in action.